As we all know, the ongoing growth of the number of cars and trucks on the worldwide road-network, is a problem by the congestions which it causes. The new hype of internet shops, also brought a lot of extra vehicles which are on the roads on daily basis. For your shipments this causes a problem as sometimes deadlines cannot be met. Furthermore, the ecological footprint of a shipment can be reduced whenever you shift your cargo to a multimodal solution. For multimodal transport, at least 2 different means of transport will be used under 1 contract. Levaco stays responsible for the entire carriage, although it will be performed by several modes of transport (by rail, barge, road…). Multimodal transport is a welcome solution for your import and export containers. 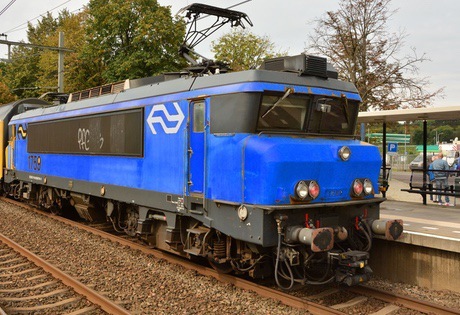 On daily basis there are rail connections from/to Antwerp to all European destinations. The port of Antwerp is also connected to waterways serving France. Levaco can also help you by offering you multimodal solutions from Europe to China. We pick up your cargo by truck, and bring it to the railway-station where there are connections to China. This means of transport is a reliable alternative for sea shipments. Multimodal transport from China to Europa is also handled by us on daily basis. You can reduce costs and your CO2 emission by choosing for this alternative transport. Please contact our import and export specialists for more information.